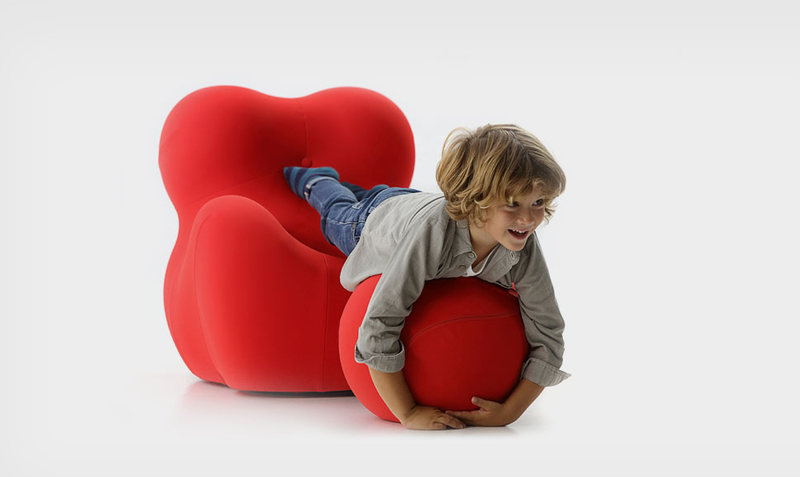 B&B Italia, one of the world’s most famous furniture brands, just announced it is releasing a ‘junior’ edition of its up series. the original lounge chair was designed back in 1969. This Christmas it will be displayed in a few of their select showrooms. If you have seen the original grand sized one, you would understand the significance of this new piece. It’s extremely comfortable, stylish, and acts as a statement piece to any interior. 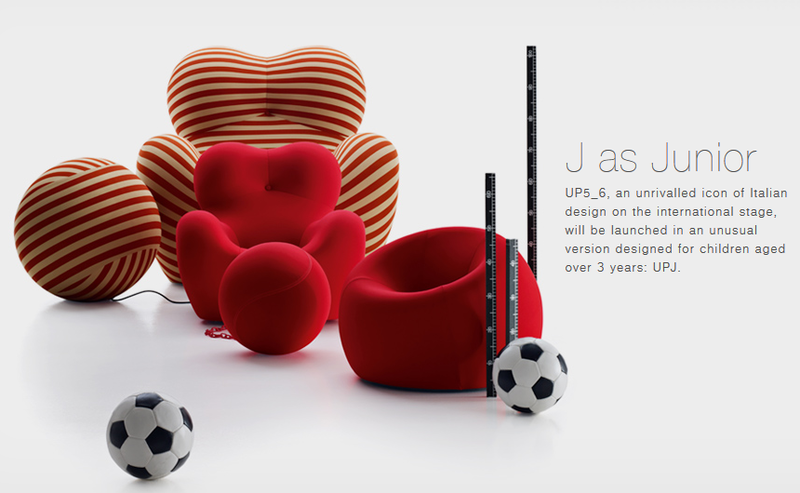 The Up series designed in 1969 by the eclectic world famous designer Gaetano Pesce, comprised of a series of seven pieces from the onset, two of which, namely the armchair UP5 with the UP6 ottoman, have become the most recognised of the series over the years and one of the most acclaimed icons of Italian design. A timeless product on the international scene. The armchair has anatomical characteristics and undeniably anthropomorphic references. It is like a large maternal lap and brings to mind the pre-historic votive statuettes of fertility goddesses. 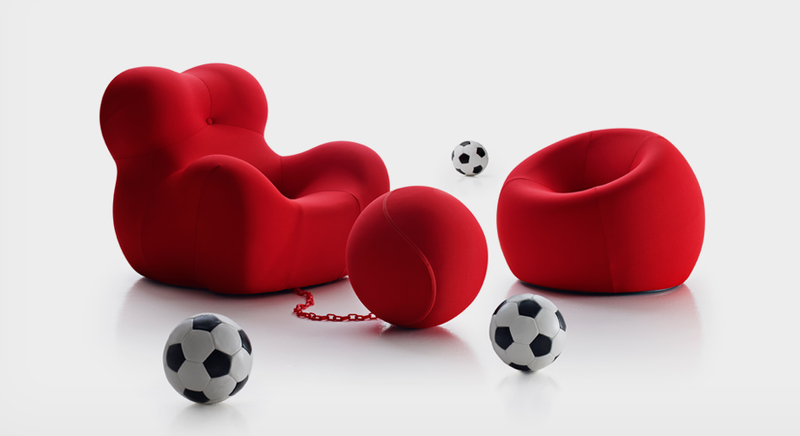 It has something more: an accompanying ball, which serves as an ottoman bound to the body of the armchair. Hence, the image of convenience and comfort predominates over the more figurative one of a woman with a ball at her feet. Added to the unusual appearance of this armchair is technological innovation – almost a sensational contrast of form and technique which could produce an excess of significances. Using the principle of the contraction of a sponge which when squeezed loses its volume, regaining it when released, it was decided that the same could apply to an armchair as the cellular structure of new materials permits the absorption and expulsion of air. For more info on the UP Junior, check this link. For B&B Italia Products in Kuwait, Kindly contact Design Circle on +965 22255205/6 or visit them in Tilal Complex, Shwaikh.